Over the last few weeks, news of tax reform and changes to the standard tax deduction has been making headlines. This week, Congress sent President Trump the finalized Tax Cuts and Jobs Act, a bill that makes sweeping changes to the U.S. tax code. These changes are likely to affect charitable organizations, including land trusts. We are thankful for two reasons. The conservation easement tax incentive remains in place and will continue to be an important tool for land conservation, benefiting our landowners. Additionally, the so-called Johnson Amendment remains intact. This legal provision allows non-profits to remain non-partisan was at risk during bill negotiations. But the provision stands — for now. There is some concern that another attempt to repeal the Johnson Amendment may emerge as part of the appropriations process, so the Central Savannah River Land Trust, along with the Land Trust Alliance, will continue to keep an eye on things. However, these tax law changes may still have a significantly negative impact on charitable giving – reducing our ability to carry out our mission to preserve our local forests, fields, and rivers forever.  One way the Tax Cuts and Jobs Act may have negative impact on organizations like the Land Trust is by doubling the standard deduction. Experts predict that fewer people will itemize their deductions under the new law. That could have a huge impact on charitable giving because taxpayers who currently itemize their deductions – and therefore receive a reduction in their taxes based upon the dollar amount they donate to charities like ours – might no longer be eligible for that benefit. Consequently, it is anticipated that private donations to charity will decline in 2018 and beyond. It will take some time for the IRS to analyze and implement the bill that President Trump is expected to sign into law. What we do know today is that the majority of the bill’s provisions will kick in after the New Year, though many of the individual tax cuts, including the standard deduction’s doubling, are scheduled to sunset after 2025. We know that, as a generous Land Trust member, your commitment to protecting our community’s natural landscapes is the heart of why you give so freely. However, as a tax-exempt charity, we also know that these types of changes might impact you. It is estimated that 95% of Americans might not benefit by itemizing charitable contributions after 2017, and that includes many supporters of the Central Savannah River Land Trust. If you are a taxpayer who itemizes, you may benefit from giving more in 2017, in order to receive a larger tax deduction this year, before this change takes place. Only you and your tax adviser know what is best for your individual tax situation. Regardless, we want to thank you for the profound impact you are making on our beautiful local farms, forests, public green spaces, and wetlands. Thank you so much for your continued partnership. In the uncertainty of today’s world, please know that the impact you are making in the lives of those in our community is profound.